Products can be Related to each other in three ways: Up-Sells, Cross-Sells or by having the same tags or categories. 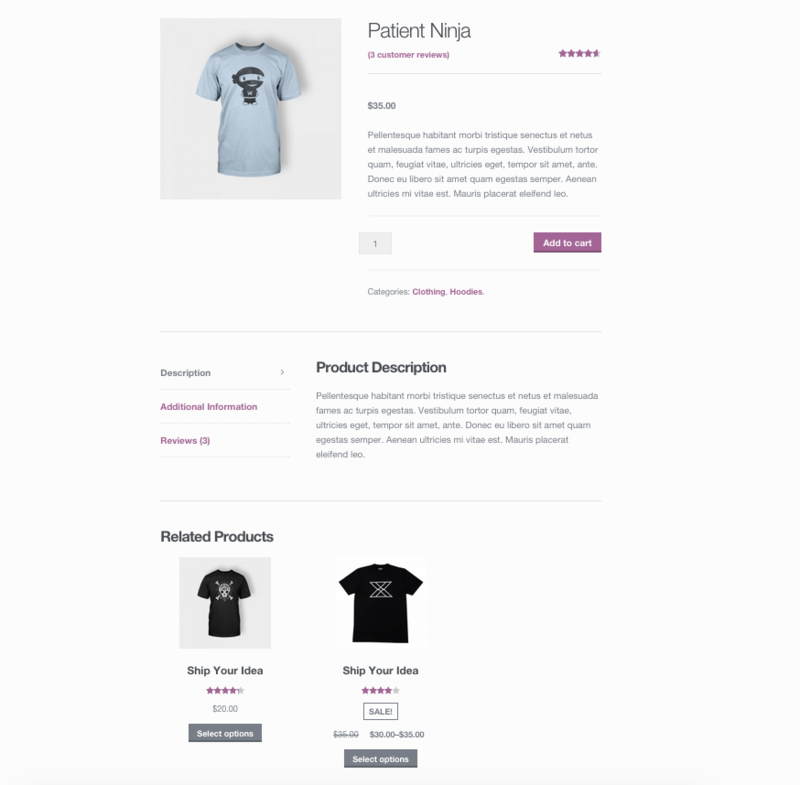 Go to WooCommerce > Products and select the product on which you’d like to show an up-sell or cross-sell. Scroll down to the Product Data panel. Select the Linked Products tab in the left menu. Add the product you wish to link to by searching for it. Note: related products, up-sells and cross-sells are all sorted randomly. Up-sells are products that you recommend instead of the currently viewed product. They are typically products that are more profitable or better quality or more expensive. 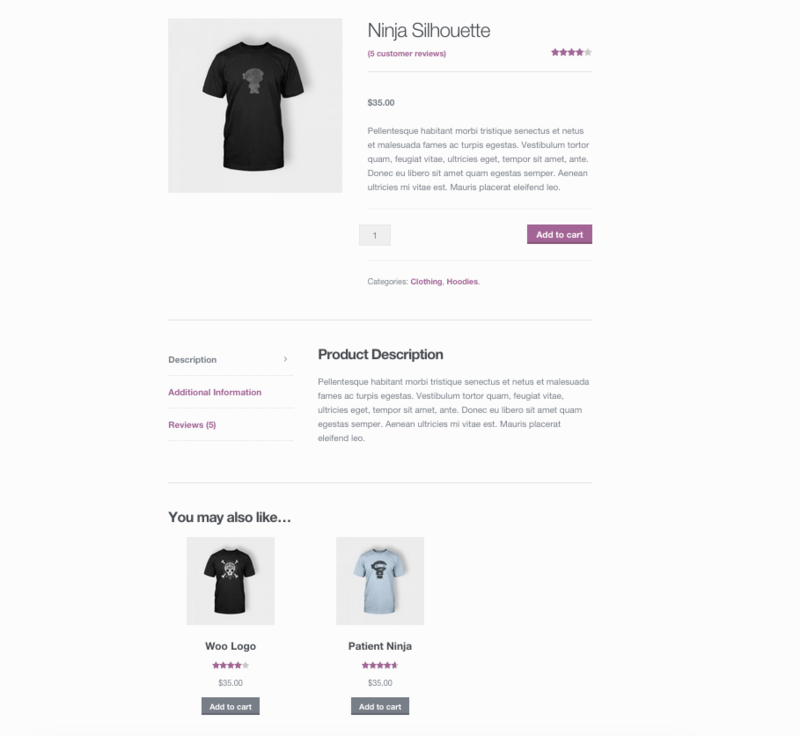 Depending on your theme template, these products display on the single product page underneath the product’s description. Up-sells (user defined) show on the product page. Cross-sells are products that you promote in the cart, based on the current product. They are typically complementary items. For example, if you are selling a laptop, cross-sells might be a protective case or stickers or a special adapter. Or if you’re selling a ninja t-shirt, they could be a ninja hoodie and ninja socks. 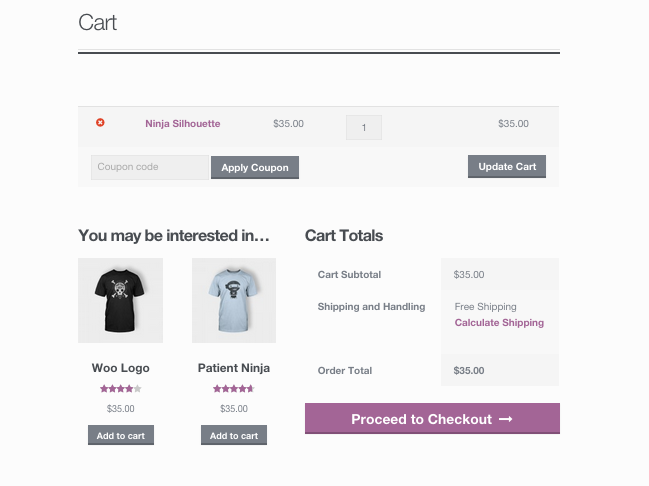 Depending on your theme template, they display on the cart page underneath the cart products table with a thumbnail image. Cross-sells (user defined) show on the cart page. Related Products is a section on some templates that pulls products from your store that share the same tags or categories as the current product. These products cannot be specified in the admin, but can be influenced by grouping similar products in the same category or by using the same tags. Related products (automatic) also show on the product page. We have documentation that shows you how to change the number of related products output or remove the related posts.